When the existence of the smartphone is beginning to shift with wearable gadgets, one of which is smartwatch. This one product it is becoming a trend in the midst of a wide range of existing gadgets. If you are interested in having smartwatch, of course, must be seen first, how important these gadgets for daily activities. Some kinds smartwatch has its own design, of course, with different strengths, respectively. For example, some of the gadgets that are almost the same functionality with the smartphone, though still many convenient features not found in it. Each smartwatch also offers their flagship facility, so you can have a lot of options. 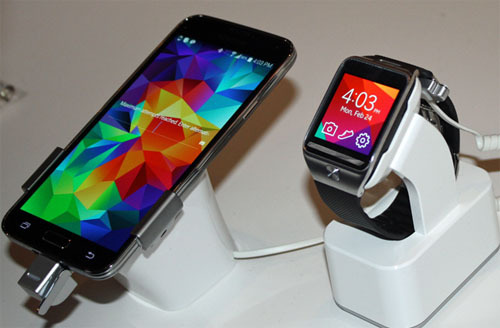 Of the several types smartwatch, average main features found in many smartphones, such as entertainment facilities, games, email, call, SMS, or some other facility. You can use smartwatch like using a smartphone, so to say, the presence of smartwatch is a solution to further improve the mobility you in choosing a gadget, in this case smartwatch.